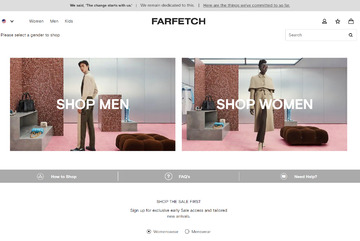 Farfetch.com is an online marketplace that forms the hub of a global fashion community, uniting independent boutiques around the world with fashion lovers. * 2.4% cash back for New Customer and 0.8% cash back for Existing Customer. * Cash back is not available on orders where a customer uses a code not provided by Extrabux. Click a Coupon or click Start Shopping to earn Up to 2.4% Cash Back at Farfetch.